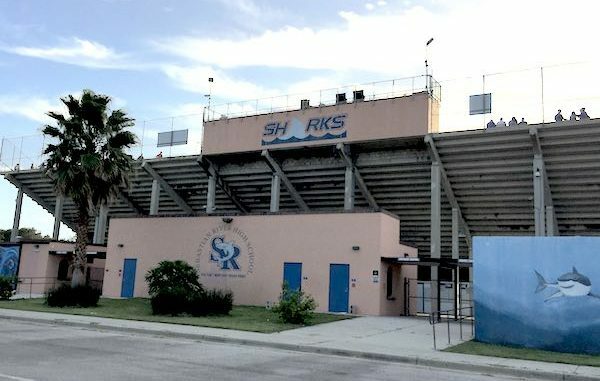 SEBASTIAN – The Sebastian River High School Football Booster, coaches, and players are hosting a family fun movie night this Saturday night on the football field at its stadium. Gate opens on Saturday, August 19th at 7:00 p.m. with a $5.00 admission that includes the movie, hotdog, and a drink. “Little Giants” will be the movie, which will start at 8:15 p.m. Arrive early and enjoy shopping at Jill Haven’s LuLaRoe Mobile Boutique or try some of the food provided by Donnie & Kim Bryant’s fresh smoked Turkey Legs or Jerry’s Italian Ice. Pre-show music and highlights will be featured by DJSHHH-OP. Bring a chair or blanket.